Positioned only metres from the Tyrone foreshore this lovingly restored home captures the beauty of the property's original features, while skilfully incorporating contemporary design elements of exceptional standards throughout the interiors. Enjoying an abundance of natural light, the open plan living/dining features painted wooden floors, electric wall heating, while the double glass doors provide an easy natural flow to the entertaining deck and outdoor shower shaded by the Moonah trees. Smeg appliances and modern hand glazed tiles compliment the cutting edge kitchen and the natural limestone walls and floor of the crafted bathroom complete the picture. Two good sized bedrooms both with BIR, the master with a gas log fireplace and the second with a picturesque window seat looking out across the pretty coastal garden. 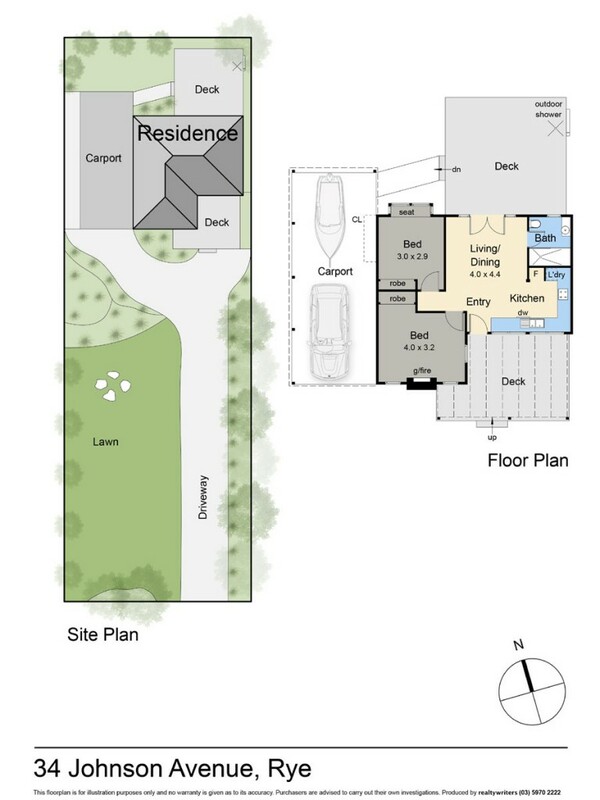 A long curving driveway with an easy care landscaped coastal garden with a double carport provides ample space for cars, a boat or even a caravan. The property is ready to just pick up the keys and move into a once in a lifetime weekend destination, holiday rental investment or a permanent residence. Stroll to either the iconic Blairgowrie Village shops/cafes, bay beaches and the rugged ocean walking trails, this is a Mornington Peninsula property not to be missed. Land size 697sqm (approx. ).